In this article, we are going to learn what iPad guided access or kiosk mode is and how we can use to lock the iPad to a single app screen. We will also learn what can be done if the users somehow getting stuck in the kiosk mode and can't exit the session. Part 1: What is Kiosk Mode? Kiosk mode is also known as guided access to most of the iOS users. The kiosk mode is the name given to the guided access session, which prevents the users from accessing certain feature of the app and limit the device activity. The iPad kiosk mode in iOS 12, has been one of the best accessibility feature introduced for the sole purpose to help the person stay focused while performing a task, i.e. using Table tracker. The process of learning how to set up Kiosk Mode is very easy. Once you learn the process, it will be better that you try to activate the session and end it so that you will learn to use the mode properly. Step 1. Open the General menu of the Settings app and go to Accessibility settings. Step 2. In the Accessibility settings, you will find the Guided Access option. Click on it and you will be directed to another screen. Toggle the bar to activate the guided access feature. Step 3. Then in Passcode settings, customize the password for a guided access session. It will be better if you use the 4-digit PIN as it is more secure. Step 1. Launch any app of the device and press the Home button three times. Then circle the areas, which you want to stop responding to touch. You can also remove the circle by clicking on the X button. By the time you are done, your iPad will be locked and the users will be stuck in the screen. Step 2. To end the session, you will again have to press the Home button thrice. Then you will be prompted to enter the 4-digit PIN that you set while setting up the Kiosk mode. As you enter the passcode, the End button will appear on the screen. Click on it and end the session. As we saw, the process can be quite complicated and that's why many users either avoid using the iPad kiosk mode or have issues while using it. In such cases, the users end up freezing their device, which can be fixed by a reboot or a simple reset. But there is another method that can be used to fix the iPad kiosk mode easily and without losing the data. Whatever issue arise in Kiosk mode, including guided access stuck and guided access locked out, there is one simple solution for all the issues by using Any iOS System Repair. The software is designed in such a way that it can repair the iPhone/iPad system effectively to fix different kinds of iOS system issues. 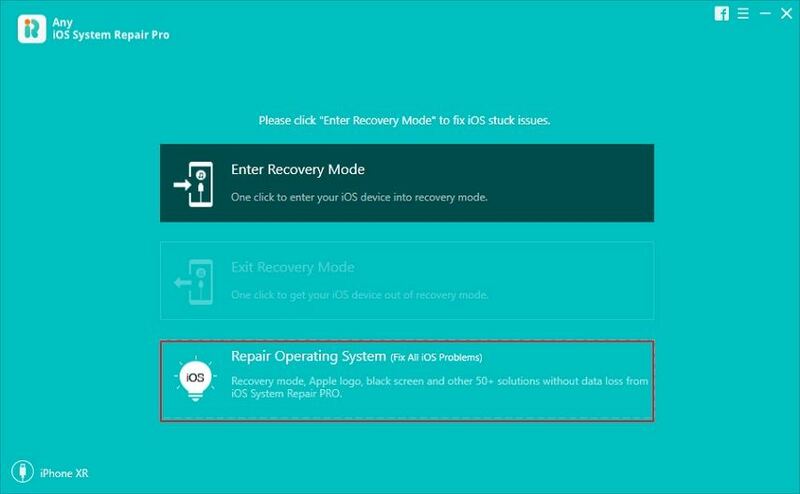 With the help of this iOS recovery software, you can fix the iPad stuck in kiosk mode, iPad black screen, white screen, recovery mode, apple logo stuck, and many other issues too. so, if your iPad's kiosk mode is not working then you can use it to repair iPad to normal. Step 1. Start the procedure by downloading the software on your computer and installing it properly. Launch the software and connect your iPad with it. The software will recognize the device and you can select the Repair Operating System option from the main interface. Step 2. Click Fix Now to process. Step 3. Prior system repair, you'll need to download the latest iOS firmware package. Step 4. Finally, when the download is complete, you can click on the Repair Now process and it will initiate the repairing process of your iPad. The process will be displayed on the screen. 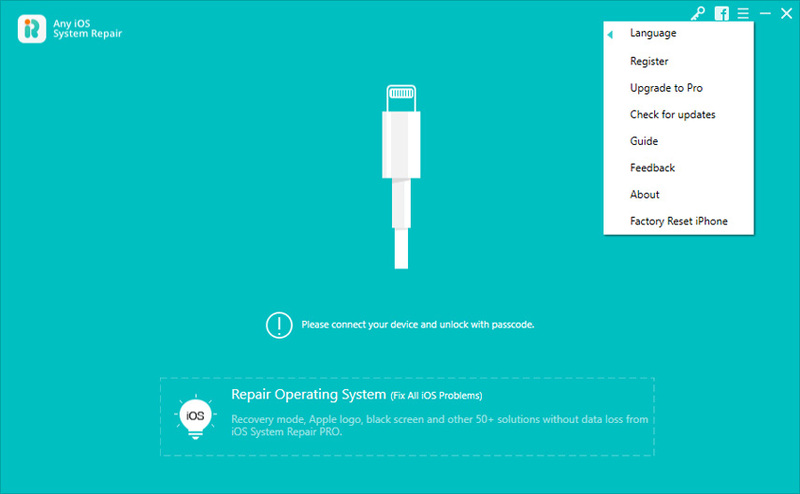 When the software is done repairing your device, it will reboot and the kiosk mode error will be erased from the device entirely. You can set up a new passcode for the mode but ensure that you make it an easy one. Now we know what iPhone/iPad guided access is and how to use it. If your iPad or iPhone got stuck in kiosk mode, then Any iOS System Repair is the ultimate savior of the users. The software is fully capable of fixing the iPad kiosk mode without deleting the data from the device.